I Personaly think Learning Objects is one of the most elementary and the most Important aspect in learning Powerhsell. Have you ever wondered what makes PowerShell stand apart from a traditional Linux shell like Bash, or even the legacy command prompt? The answer is really simple: traditional shells output text, which makes it tricky to do things like formatting and filtering. But Powershell is built upon .Net Framework which has advantage of underlying .Net classes which takes a different approach, using objects instead of text. CLASS : a set or category of things having some property or attribute in common and differentiated from others by kind, type, or quality. For example Human race is a class or collection of individual Human beings. In terms of Powershell a set of services is a class, as all have some attributes common in them, like Status, Name etc. OBJECT : An Instance or Single Occurrence of a class. Objects are like real world entities that comprises of some Characteristics \ Attributes \ Properties and Functionalities. In terms of PowerShell, Object is a single entity of a Class (.NET Class) that has some attributes (Known as Property) like ServiceName, Status, ServiceType, Site etc. To access the property or method of an object we use DOT Operator ( ‘ . ‘ ), let me show you through some examples. 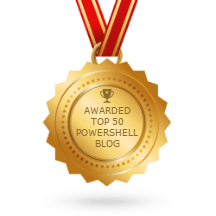 Hope you will get better understanding of Powershell Objects and its utility after reading this article. 1) Classes in powershell has methods such as classes of other programming languages or methods is only on objects? 2) What are the differences between Powershell classes and classes in others programming languages? and Objects?